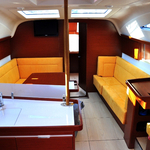 In 2014 has been built boat Elan 444 Impression called BEAUTY AS. She is placed in base Izola in the area of Primorska in Slovenia. 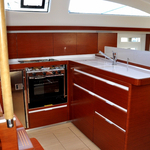 You can board up to 10 crew members on the sailing boat BEAUTY AS. Configuration of berths is 10 (8+2). There are 4 cabins located under she's deck. BEAUTY AS has 2 heads with showers. 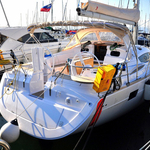 Use the search engine for search for more offers right here: Yacht charter Primorska. In this boat is installed engine 55. 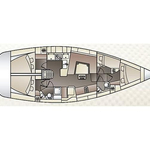 With 13.85 m of LOA and 4.18 meters of width BEAUTY AS provides enough space for comfortable sailing. 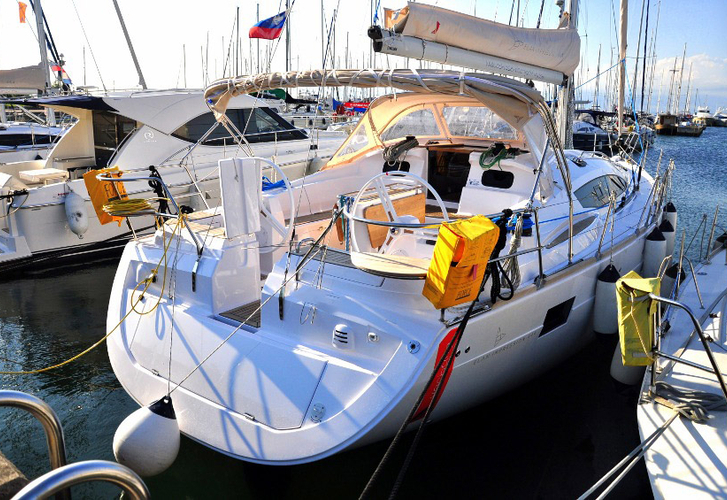 Elan 444 Impression BEAUTY AS is equipped with: Radio / cd player, Heating, Bed linen, TV, Dvd, Dinghy, Anchor electric windlass, Bimini top, Mainsail with lazy jack, Bow thruster, Autopilot, Gps plotter, Permission for sailing to Italy and Croatia. . Security deposit is 1800.00 EUR. 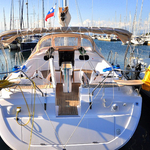 You can analyze our offer over here: Yacht charter Izola.